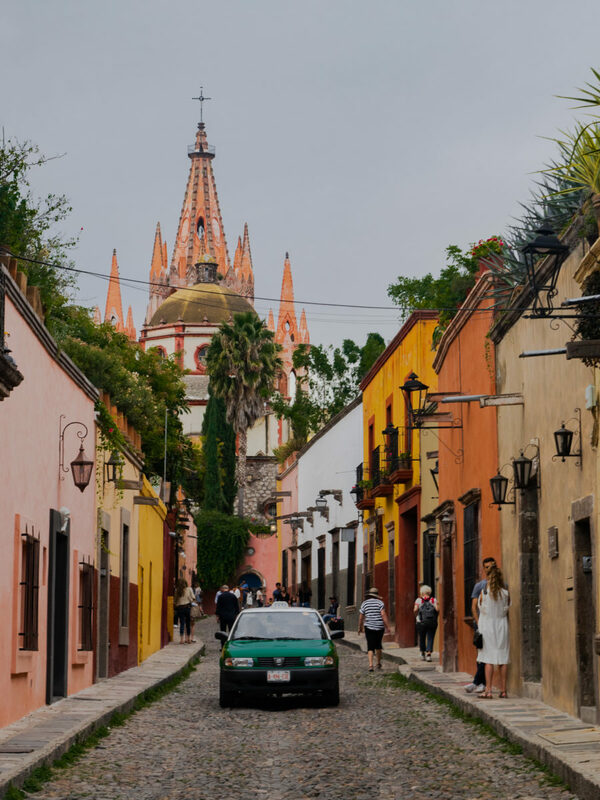 Walking through San Miguel de Allende on a Sunday morning, I understand why so many artists fall in love at first sight. 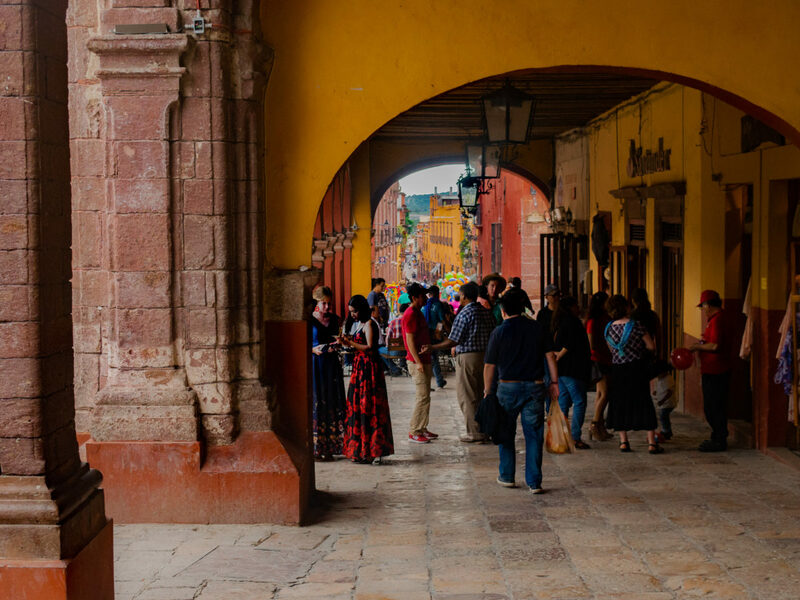 The streets are alive; you can see it in the shades of yellow and orange that color every building, taste it in the incredible food available on every corner, and hear it in the way the mariachi play as people stroll by, laughing heartily as the bells of the Parroquia de San Miguel Arcángel ring again and again. 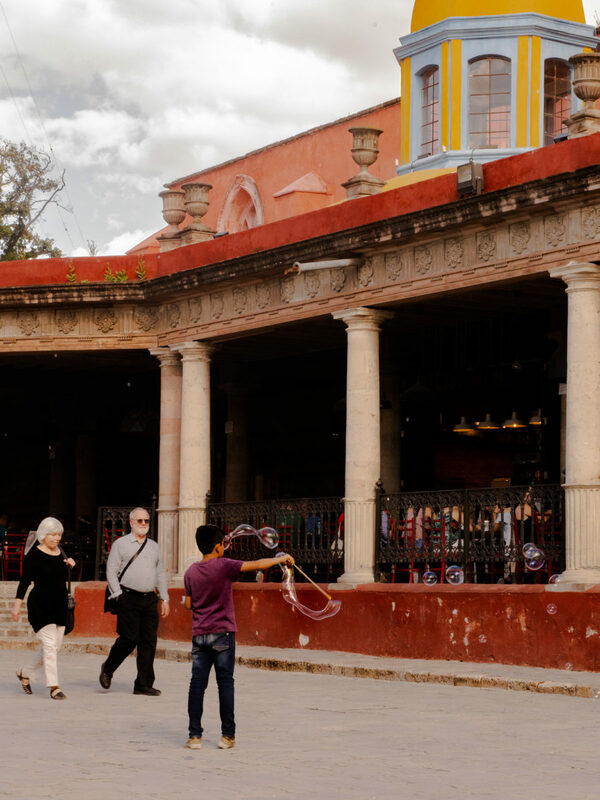 To find your way to El Jardín, the center of life in San Miguel de Allende, all you need to do is look for La Parroquia in the sky. 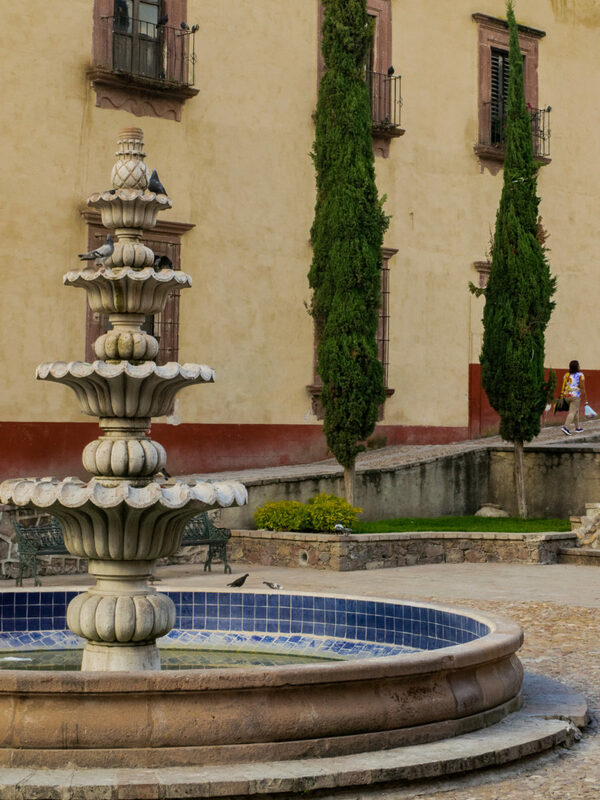 Tourists, locals, adults, children—everybody enjoys relaxing in El Jardín in the afternoons. 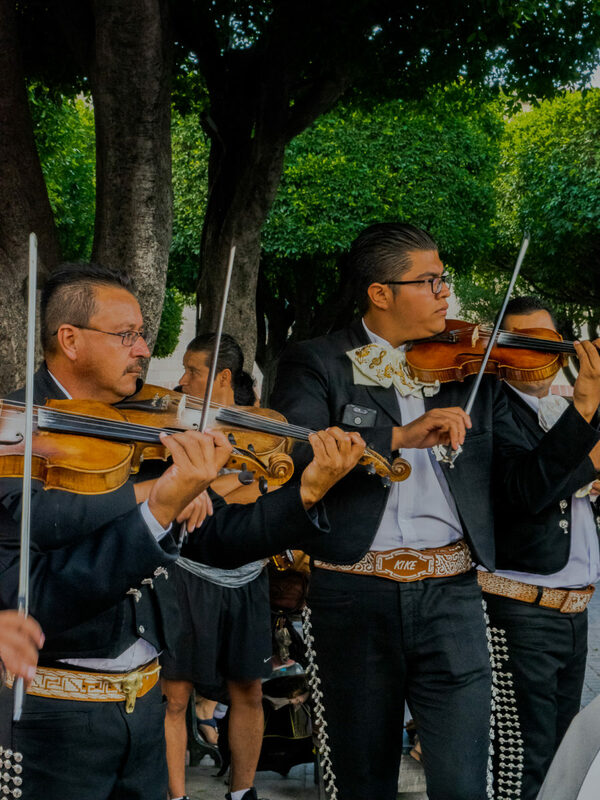 Mariachi bands seem to fill the air with music at every hour of the day in El Jardín. 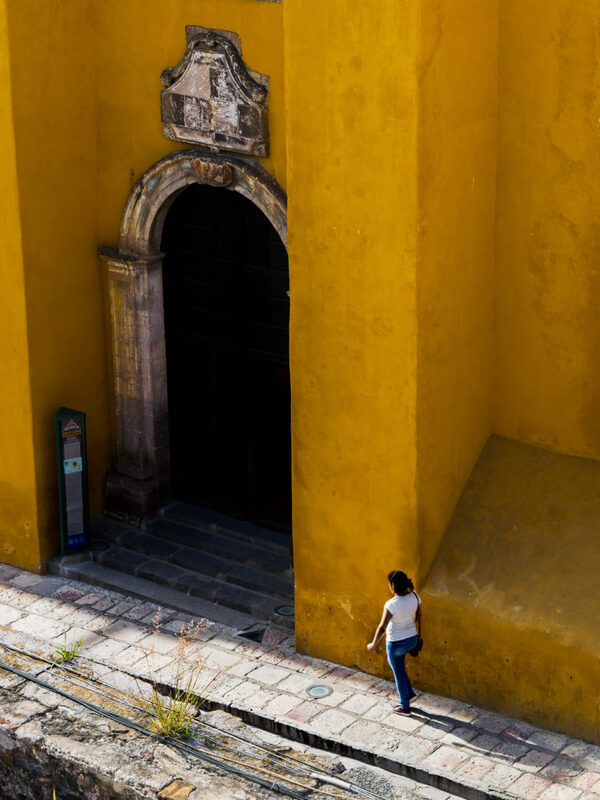 Muted tones accompany a peaceful moment outside the Oratorio de San Filipe Neri. 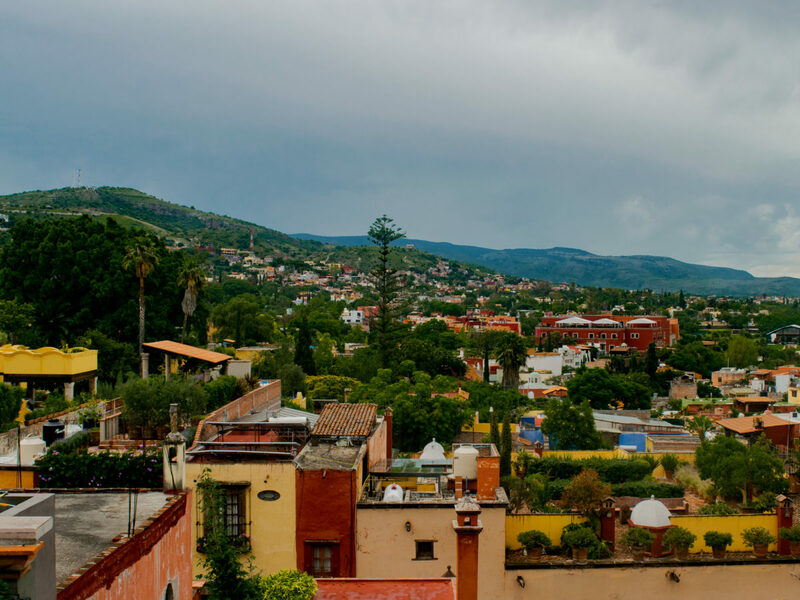 All the most prominent colors of San Miguel de Allende captured in one photo. 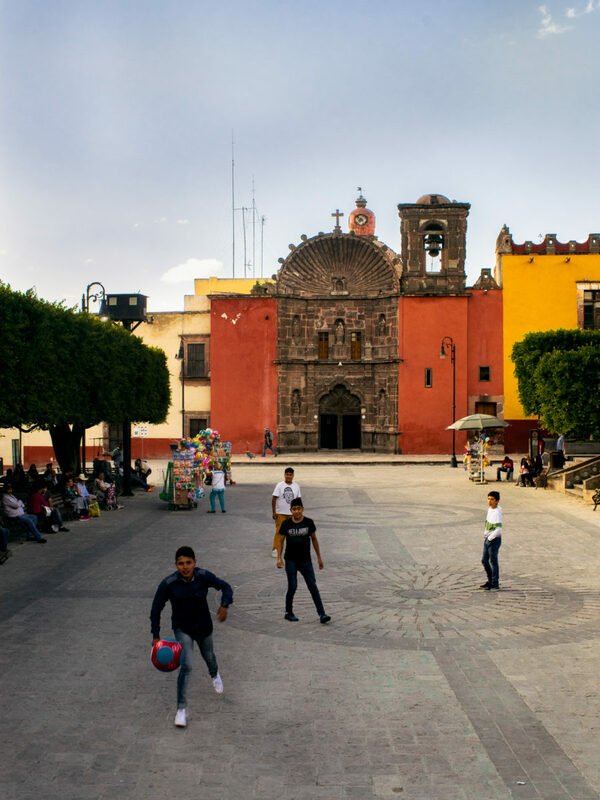 A group of boys playing soccer in the Plaza de la Soledad. 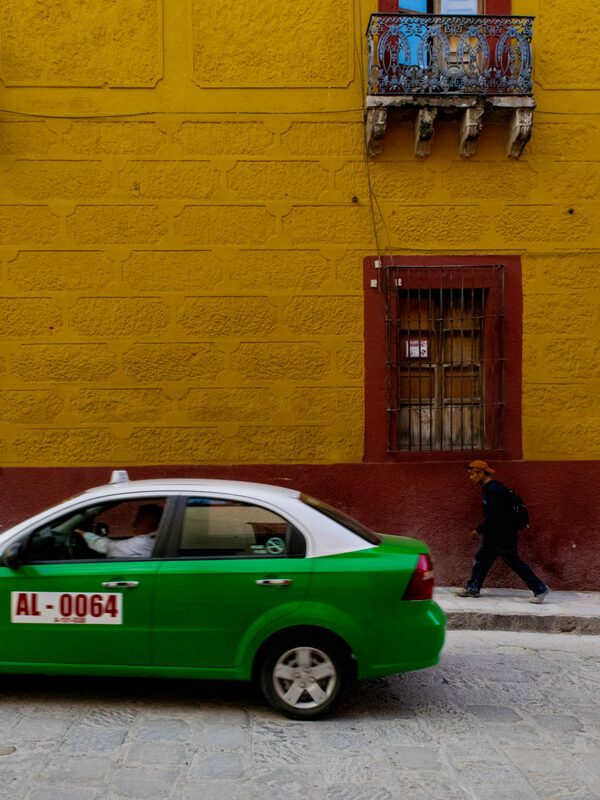 San Miguel's green taxis made a nice change from the yellow taxis I'm accustomed to. 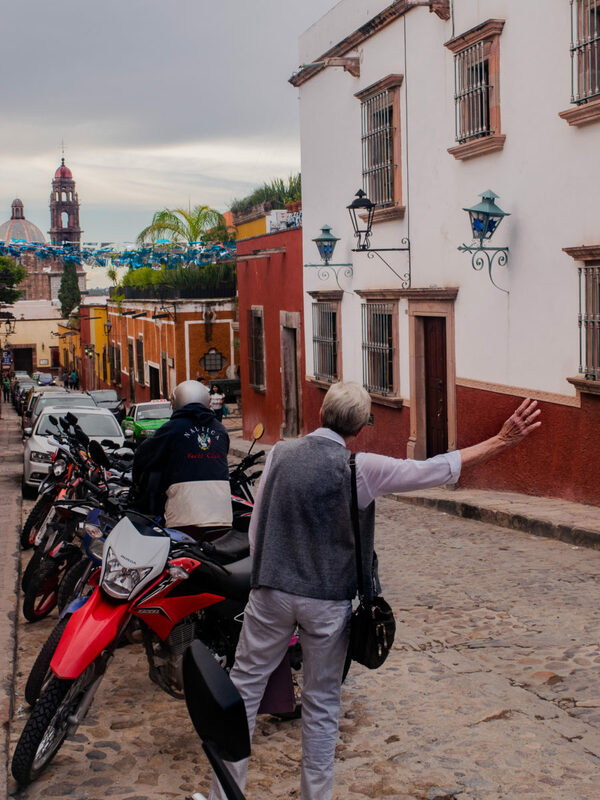 A man waves down a taxi slowly coming up the street. 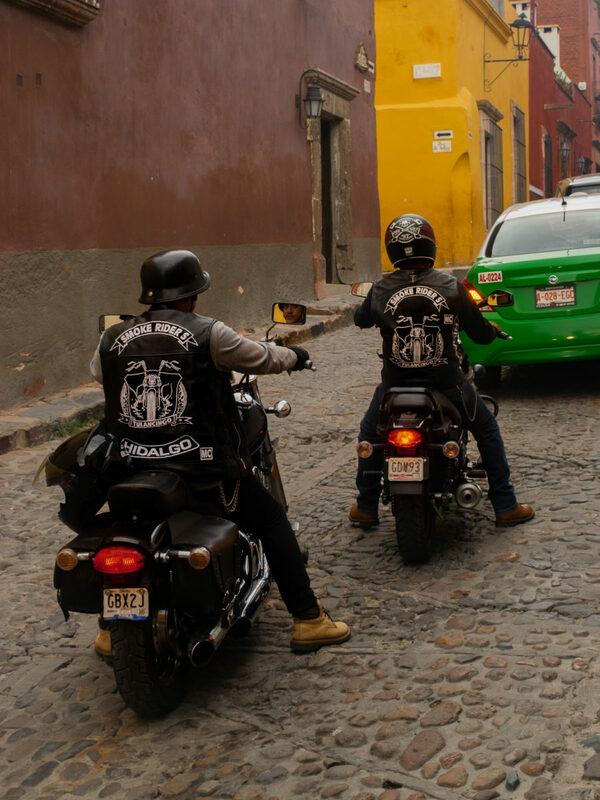 Other than going on foot, motorcycles are the preferred method of transportation in San Miguel. 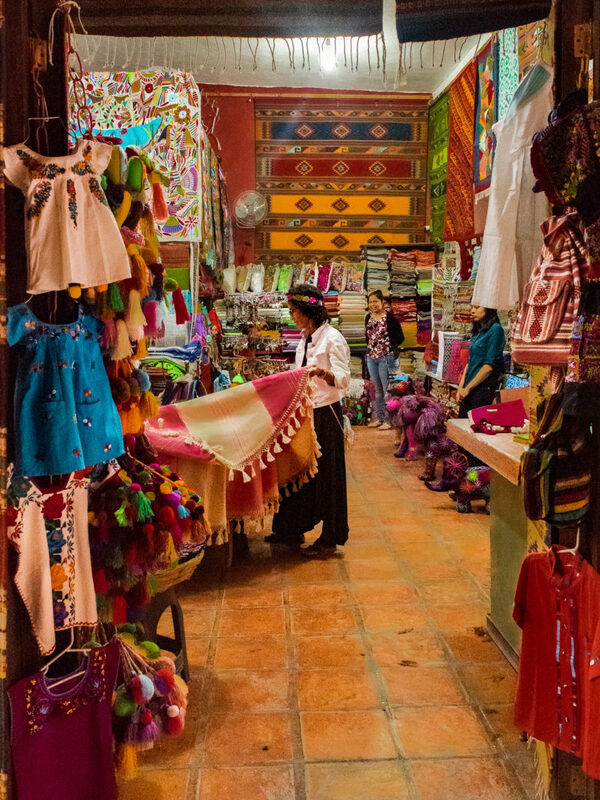 The only thing more colorful than the streets of San Miguel is its many shops, many of which carry handcrafted clothes, shoes, and home goods. 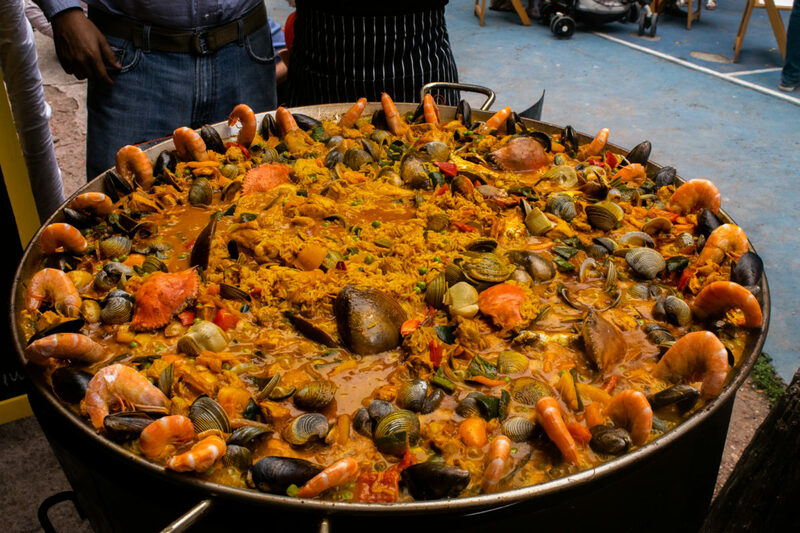 First, the sight of this enormous paella drew me in—then, the taste of it left me dreaming of San Miguel for days after I left. 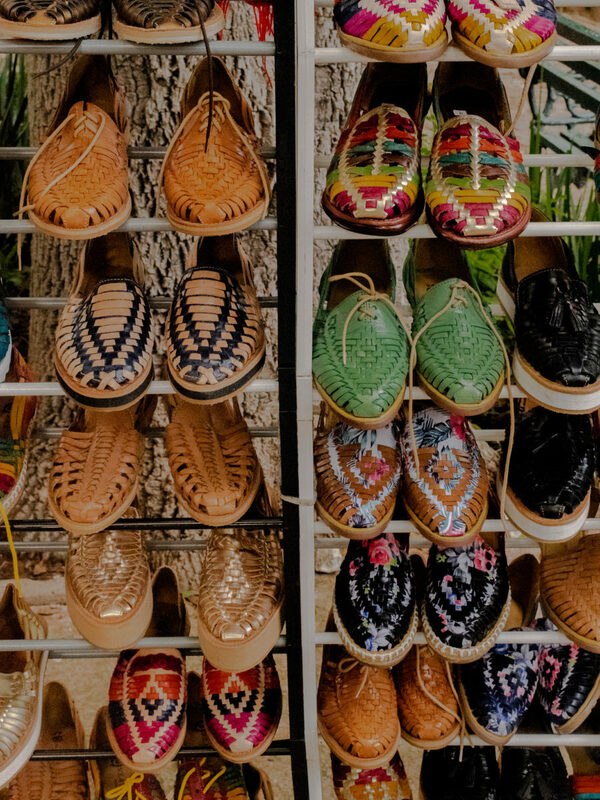 I couldn't leave the city without buying a pair of handwoven huaraches. The colors of the city become even more vibrant after a storm. 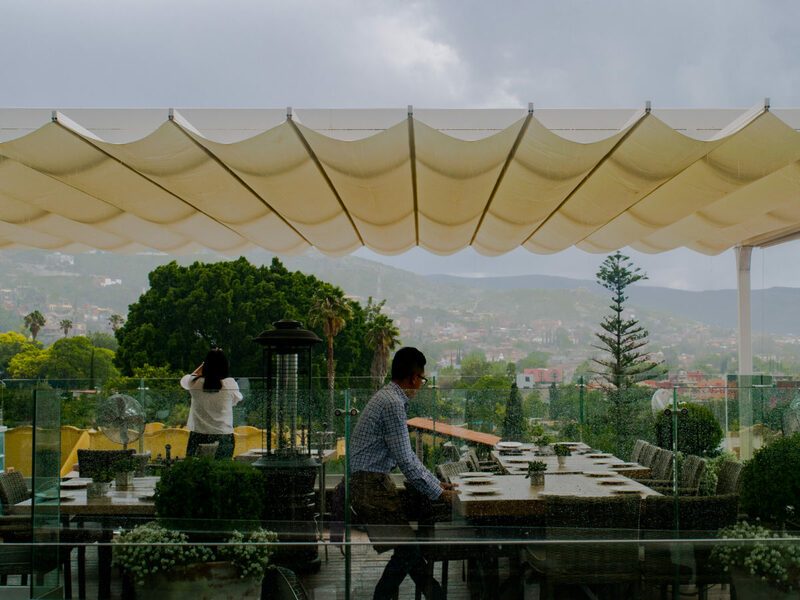 The scene on the rooftop at Quince, a popular bar and restaurant, just after rain. 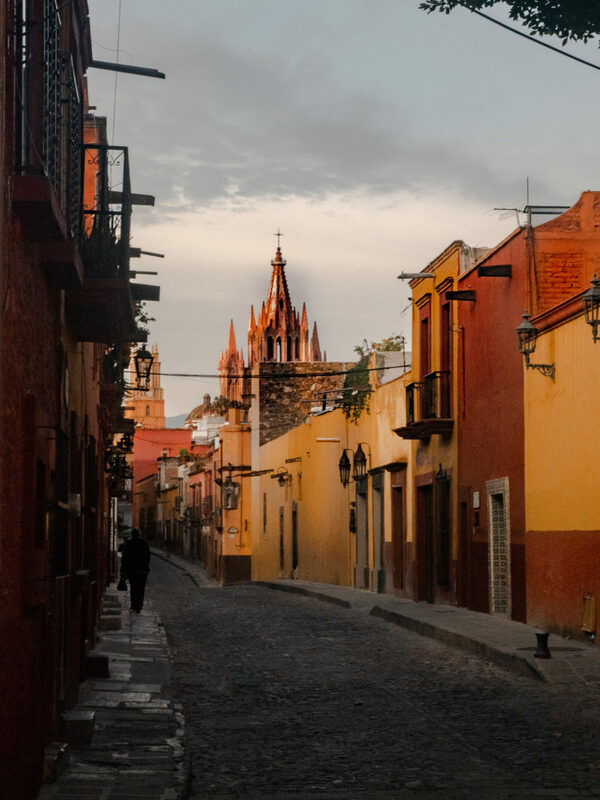 The streets generally stay quiet until nearly 9 am, but early risers can get a special glimpse of the glowing Parroquia at sunrise. 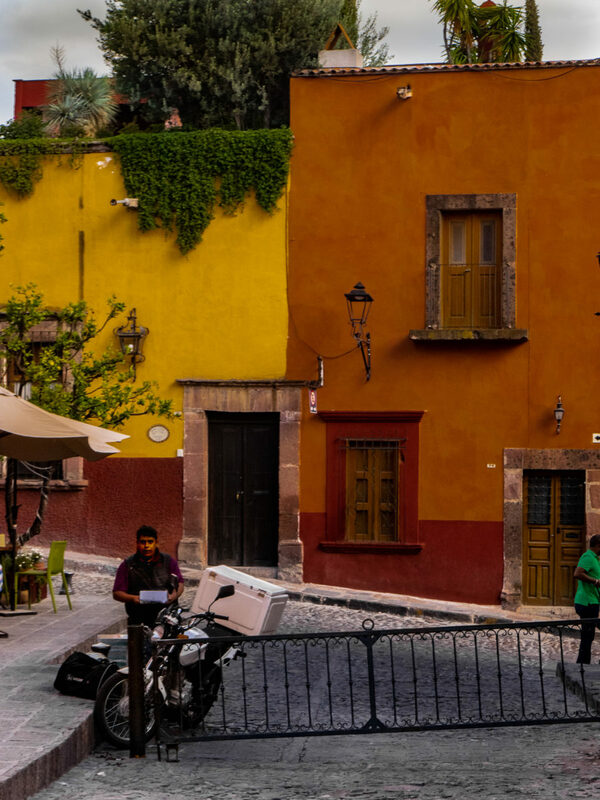 Light streaming down a narrow street, illuminating the golden city walls. 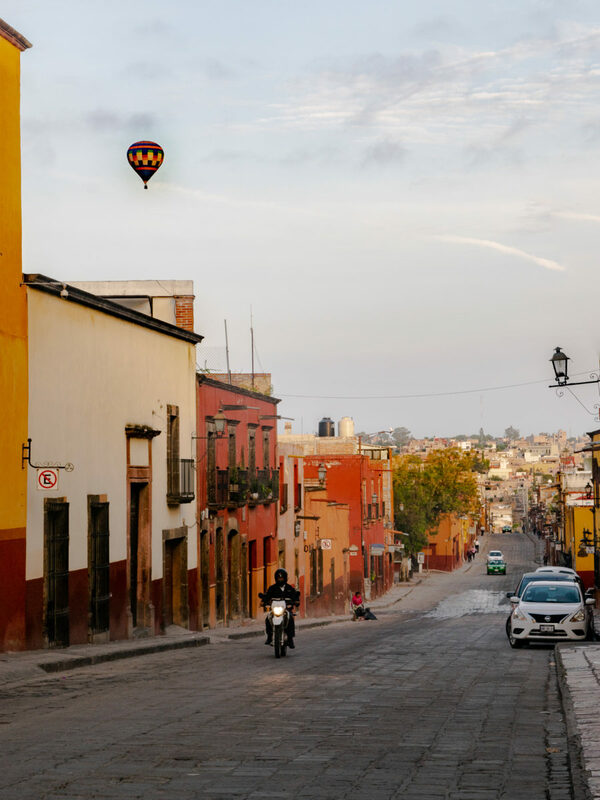 On my last day in San Miguel, spotting a hot air balloon rising into the morning sky felt like a sign of good things to come.